Find out Jason Genao's age, height and everything else about him here. 1. Everything you need to know about Jason Genao. 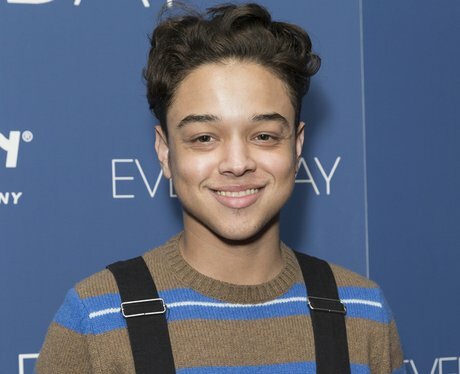 Jason Genao is a rising star who has acquired a legion of fans since starring in the hit Netflix shows 'On My Block' and 'The Get Down'. You can find out all the tea on Jason here. 2. How old is Jason Genao? Jason Genao is 22-years-old. He was born on July 3, 1996. 3. How tall is Jason Genao? Jason Genao is 5 feet 1.5 inches (1.56m) tall. 4. What is Jason Genao's star sign? Jason Genao's birthday falls on July 3 which makes him a Cancer. 5. What is Jason Genao's ethnicity? Jason Genao is Latinx. He's from a Dominican-American family and was raised in Jersey City, New Jersey, in the US. 6. Who is Jason Genao dating? Jason Genao is thought to be single at the moment. The young actor hasn't appeared to confirm his relationship status or sexual orientation. 7. Who plays Ruben "Ruby" Martinez in On My Block? Jason Genao plays Ruben "Ruby" Martinez in 'On My Block' on Netflix. Ruby is a math genius and often serves as the voice of reason in his friendship group. 8. What Netflix shows has Jason Genao been in? Jason Genao has also starred in 'The Get Down' on Netflix as Napoleon. The Netflix original drama centred on the rise of hip-hop and disco music among teens living in the Bronx area of New York City in the 1970s. Jason has also been in non-Netflix shows like 'God Friended Me' and 'Law & Order: Special Victims Unit'. 9. Has Jason Genao been in any movies? Jason Genao was in Marvel movie 'Logan' (2017). 'Logan' centres on X-Men character Wolverine, who must save a group of mutant children from being killed and take them to Eden. The actor played Rictor in the film, leader of the X-23 children. 10. Does Jason Genao have Instagram, Twitter or Snapchat? You can find Jason Genao on Twitter (@TheJasonGenao) and Instagram (jason.genao). He doesn't appear to have a public Snapchat account.